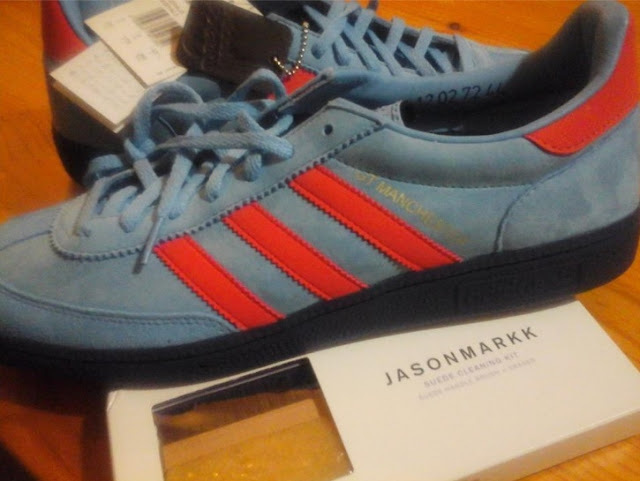 the new ones, GT Manchester Adidas Spezial, made of suede. Obviously blue. They're sold out, and already on eBay for 4 times the price, click here . I got them near the shop where Liam bought shoes in 1997. Noel Gallagher's Adidas were rubbish.